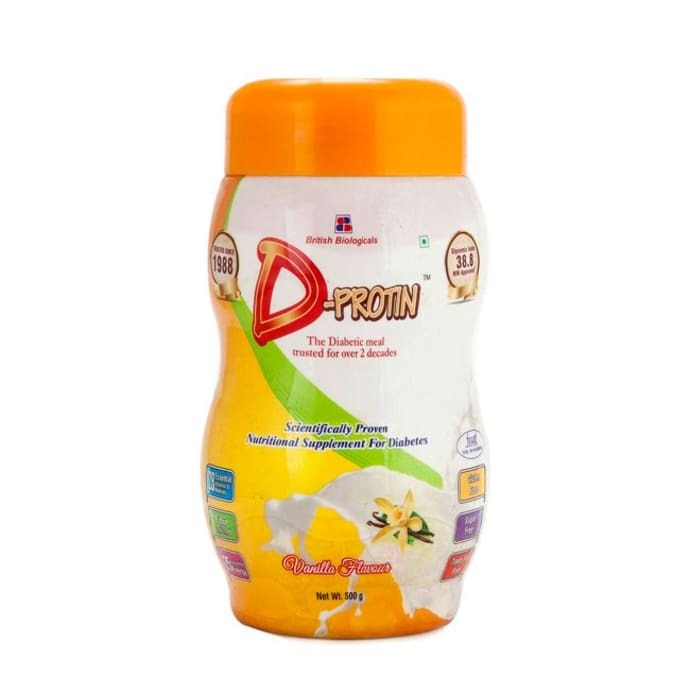 D-Protin Vanilla powder is a nutritional supplement of proteins, essential vitamins and minerals, which is specially formulated for Diabetics and Pre-Diabetics. D-Protin is indicated in Type 1 Diabetes, Type 2 Diabetes, Gestational Diabetes and Pre-Diabetes. This protein powder supplement also improves the overall health. Contains 28 essential vitamins and minerals, including PUFA (Polyunsaturated Fatty Acid). Enriched with antioxidant properties that prevents oxidative stress and promotes cardiac health. Complex carbohydrates enhance energy level. The micro and macro nutrients, along with other minerals correct nutritional deficiencies. D-Protin powder can be taken orally as a nutritious snack or supplement. Recommended serving is two tablespoon twice daily with lukewarm milk or water. Stir well until completely resolved. 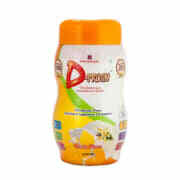 A licensed pharmacy from your nearest location will deliver D- Protin Powder Vanilla. Once the pharmacy accepts your order, the details of the pharmacy will be shared with you. Acceptance of your order is based on the validity of your prescription and the availability of this medicine.